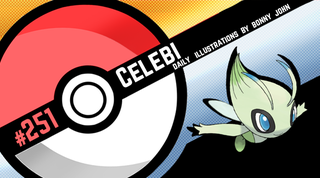 Celebi follows in the footsteps of Mew, in more than one way for my final illustration of this series. 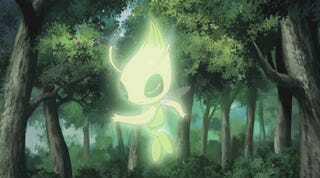 Just like the stained glass approach for last year’s season finale, I thought it would be a great callback and powerful way to send off this series for Celebi. With Mew, I celebrated the lore and myth through my own vision and story . For the Time Traveler, I approached a smaller scale but kept the oomph! TAY, thank you so so much for everything you’ve done for me. Reading, commenting, viewing and critiquing, and of course, hopefully enjoying my work. It’s been a blast getting to discuss art and the franchise, and everything else in between that’s come up in between. You’re all so incredibly supportive, kind, caring, and really help made this fun and stressful journey really worth it. You were all fantastic!